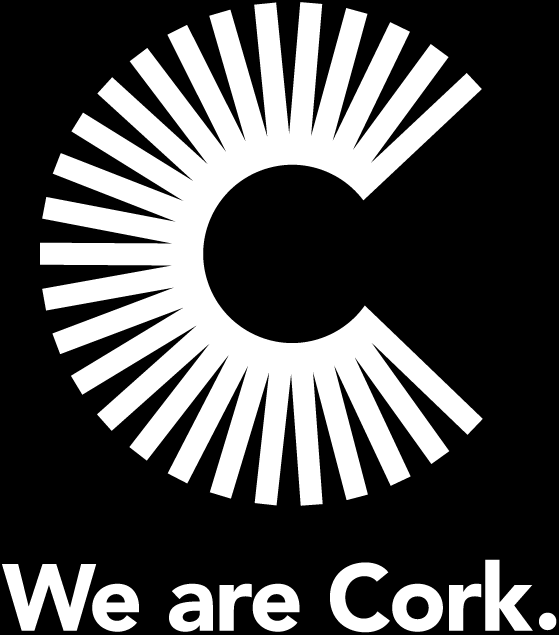 Cork has a proud reputation as Ireland's second largest economic engine and has an enviable track record in investment attraction. It’s a place of explorers and thinkers; who help businesses thrive. World class research provides a competitive edge and talent and skills are in abundance. Cork is an extension of everything that Ireland has to offer. We’re alive with ambition and innovation is core to our success as a leading location for foreign investors. With over 150 overseas companies employing 35,000 people, many leading brands such as Apple, Johnson Controls and Pfizer are building global success in Cork. Fast growing indigenous companies as well as multinationals choose Cork to take advantage of our ecosystem’s vast strengths, combined with the quality of life that exists here. Cork’s economic ecosystem in one website. Cork is a thriving and ever expanding hub of economic activities. Home to prominent global market leaders and thriving indigenous business, Cork is proud to be recognised across multiple industry sectors as the home of collaborative innovation and entrepreneurial spirit. The quality of Cork’s offer is evident by the calibre of our investors which include include Eli Lilly, IBM, Stryker and BNY Mellon. It is also evident through company operations with depth and breadth across R&D, Advanced Manufacturing and Headquarter functions. Global leaders are attracted by our hot bed of skills and talent, many of who have been primed by an impactful third-level education system. Cork excels in delivering ambitious and motivated science, engineering and technology graduates and is home to a diverse range of Centre’s of Excellence that support an applied research approach and a collaborative business environment. There’s a growing diversity in the region with people from many nationalities relocating to Cork. Few other regions offer the opportunity to work with global giants in a cost-effective location that offers an excellent quality of life. Cork is home to some of Ireland’s most prestigious educational and research institutions that are uniquely placed at the boundary between academic research and business, enabling the next generation of high-value companies and products. University College Cork (UCC) and the Cork Institute of Technology (CIT) place a high emphasis on research & development and innovation, providing impactful research outcomes and top-flight graduates for the growing number of overseas, high profile companies located in the region. Cork also has several world class research centres including Tyndall National Institute (UCC) and the Nimbus Centre (CIT) and the Region is home to a number of research centres of excellence supported by Science Foundation Ireland, which include APC, INFANT, MaREI and Insight. As Ireland’s second city, we’ve gained a lot from Ireland’s position as the number one location within Europe for scaling businesses. We’re now one of the Top 20 location choices in Europe; reflecting Cork’s unique business environment and sector specific support that helps companies develop scalable, innovative technologies, products or services ready for the world stage. We also know that a healthy start-up ecosystem is a critical factor in ensuring a pipeline of export orientated businesses with an international outlook. The growth in the level of start-ups in Cork is unrivalled throughout Ireland. Cork’s success and opportunity lies in a wide range of key sectors including software, life sciences, financial and business services, engineering, agri-food and maritime. There is also a diverse range of activities across sectors including internationally competitive research and advanced manufacturing. Cork is home to 7 of the top 10 pharmaceutical companies in the world; 6 of the top 10 blockbuster drugs, each selling over $1 billion each year, are made here. A significant number of companies have advanced manufacturing operations across the region, highlighting competitive advantage in an area that has been difficult for many European cities. A stunning cluster of medical devices and biopharma companies are deciding the future of healthcare, such as Boston Scientific, Johnson & Johnson and Stryker. Cork is attracting high value operations in the Software, Analytics, Cybersecurity, Business Intelligence and Artificial Intelligence spaces. Cork’s prestige as a technology hub is evident through significant technology household names like Apple, Dell EMC and McAfee. A gateway to Europe for centuries, Cork’s connectivity is boosted by Ireland’s second largest airport, which provides access to almost 50 international destinations including transatlantic air routes. Cork is home to the second largest natural harbour in the world, handling exports and imports of sea-borne trade and welcoming visitors through Ireland’s only dedicated cruise berth. The Port of Cork is ideally positioned for European trading as well as direct deep sea shipping services, promoting the development of trade and economic growth in a global market. It is the key seaport in the south of Ireland and is one of only two Irish ports which service the requirements of all six shipping modes – Lift-on Lift-off, Roll-on Roll-off, Liquid Bulk, Dry Bulk, Break Bulk and Cruise. The port is classified as a Tier 1 port of national significance. Recently the Port of Cork jointly purchased Marino Point, a deep water port facility and embarked on a €80 million port redevelopment project in Ringaksiddy. 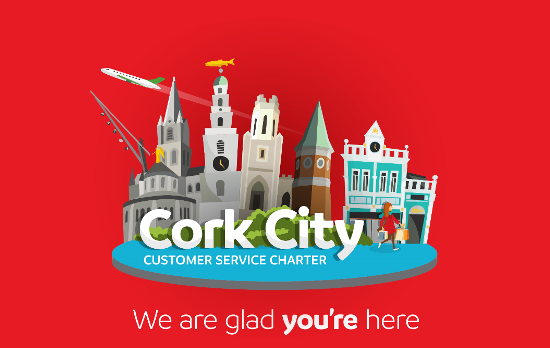 Cork offers Tier 1 connectivity with the lowest telecoms latency between the EU and US (USA-UK 100 Gbit/s fibre network via Cork). In addition, a new sub sea cable is planned connecting Cork to mainland Europe via France. A truly successful economic ecosystem requires the development of new ideas, acceleration of priority industries, nurturing of an educated workforce and a strong focus on innovation. 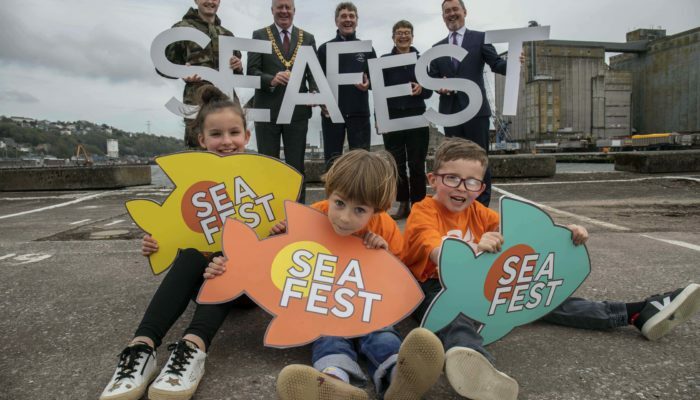 The collaboration and strong connectivity that exists within Cork’s key businesses and stakeholders is the power behind this success. Cork offers a wide range of business support services – IDA Ireland supports multinationals within the FDI context; Cork BIC and Enterprise Ireland support young companies in the region elevating Cork’s status as a tech hub; Universities, Councils and Cork Chamber of Commerce also have a key role to play.